Justin Roiland’s VR studio Squanch Games announced last year that their upcoming game Trover Saves the Universe was exclusively targeting PSVR and PS4 consoles. This week at GDC 2019 though it seems the studio has reversed that decision, as the comedy platformer is also slated to arrive on PCs via Steam and Epic Game Store. To make things even more interesting, it appears PSVR users have a firm May release date now. Update (March 27th, 2019): Squanch Games now says it will be doing a staggered launch, coming first to PSVR on May 31st, then shortly afterwards to PC VR platforms on June 4th. The studio also whipped up a new trailer, which is linked below. 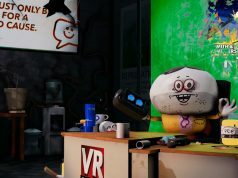 Original Article (March 21st, 2019): Squanch Games wasn’t able confirm which specific PC VR headsets will be supported at launch, although VR support is definitely coming to the PC version for its targeted 2019 release, I was told. Neither the Epic Game Store page nor the Steam page have information regarding supported headsets at this time. An educated guess: we’re likely to at least see support for HTC Vive and Oculus Rift. There’s no exact launch date yet, although the studio says we should learn more on that front at PAX East, which takes place in Boston on March 28th – 31st. We’ll most likely learn whether it’s a staggered or simultaneous launch there too (see update). 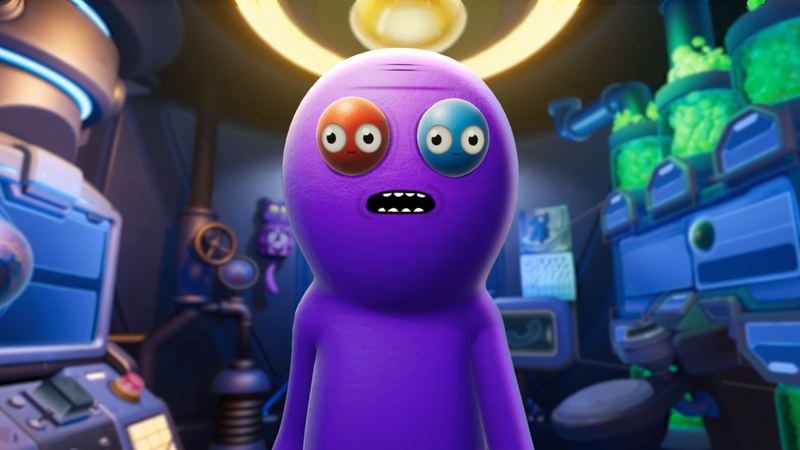 In case you’ve never heard of it, Trover Saves the Universe is another madcap fever dream from the mind of Rick and Morty co-creator Justin Roiland. It’s not a platformer in the traditional sense, as your character (called a Chair-opian) is seated and relies on teleportation to follow your controllable pal Trover, who can be controlled to specific warp nodes where he battles enemies and solves puzzles in search of your lost dogs. There’s plenty of fourth wall-breaking moments here that are sure to appeal to fans of Roiland’s disarming and infectious sense of humor. It seems the GDC 2019 demo on the floor is more or less the same from when we first saw it at E3 2018, albeit shortened somewhat to accommodate more GDC-goers. You can see the full demo I experienced below. This is already my favourite game and it’s not even out. 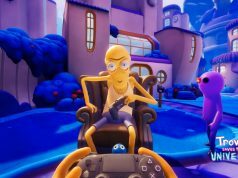 Nice move Squanch games not doing exclusive deal with PSVR! So happy I’ll get to play this. Looks awesome! Give it time… I am sure they will do one, and probably give away the original with it. It’s too easy a seller, and with the Cartoon Network deal for seven seasons…. its a no brainer.